Yoga has the remedy for everything. It has given us the key to heal each syndrome and side-effects of a lifestyle which we have violated enough. In the day to day tough routine of long working hours on chair, our spine gets more overworked than its endurance limit. We take a little less privilege in giving it attention as the problem in spine doesn’t show up physically. It doesn’t bother our physical appearance and ultimately is neglected. If neglected for a longer time it can lead to chronic long lasting problems. The most sensitive issue of personal health nowadays is the increasing waistline. Follow up with these simple yoga poses to get relief from lower back pain fastly. There are various yoga poses for lower back pain relief that one can include in lifestyle. The very first and an easier one to begin with is the PADANGUSTHASANA. In this pose one has to begin with a standing posture. Keep your complete body aligned to the vertical radial axis. During inhalation bend forward with your head a shoulder as a single unit. Raise your hands above the head. Touch the big toe of your foot with fingers and try to stay put for a while. With exhalation , come back to the straight posture slowly. This asana starts with a supine position. Then slowly fold your knees and bring them near to your hip line. Lift your spine up in an arching motion and bring the palms beneath your pelvic bone region. Clasp one palm into another. Support your posture by your shoulders. Keep your upper arms beneath your shoulders for supporting. Stay in this position for a few minutes and relax. Repeat the same for 6-7 times. Read More about How to get rid of belly fay at Home. This is the pose of meditation. Beginners are advised to start from this particular posture. This is the most simple yet the most difficult posture. It involves sitting in a normal cross legged position with a straight spine. Your mind should be focused and free of all the negative energies. Breathing should be normal. One should sit in this posture for as long as in comfort zone. Kneel down with both hands and legs. Modify your posture such that your elbows lie beneath your shoulders and buttocks lie above your knee bends. Stretch your hands forward. The complete spine stretch can be felt by bowing down your head, touching the floor. The neck is relaxed but arms must be kept active throughout with elbows never . Touching the ground. Ardha uttanasana is the best exercises for lower back pain. In this posture we begin with the uttanasana pose. Press the fingers firmly on the ground along side your feet. Inhale and arch away the upper portion of your body as far as possible from the thighs. Lift the spine forward and form an inverted D. Keep your head forward. Stay in this position for 30sec and relax. Repeat this posture formation for 3-4 times initially. This posture should be practiced with caution. Your complete body should be arched till the individual flexibility allows you. This is an ideal asana for relieving the spine problems. It is also helpful in straightening of spine and tightening of back muscles. Lie on your back comfortably. Lift up your calves slowly. Lift up the hips and thighs along with the legs. Support your back with the hands. Your elbows should be touching the ground. Try to attain a straight line alignment of your overall body. If facing difficulty in performing this asana on floor, one should feel free to use a thicker base like a yoga mat or blanket for balancing. Don’t Miss: Top Yoga Asanas for fastest Weight Loss in 1 Month. This asana starts with an initial cat pose. Slowly bring your knees close to your chest. Try to transfer the weight of your body on your head. Don’t lift both the legs together. 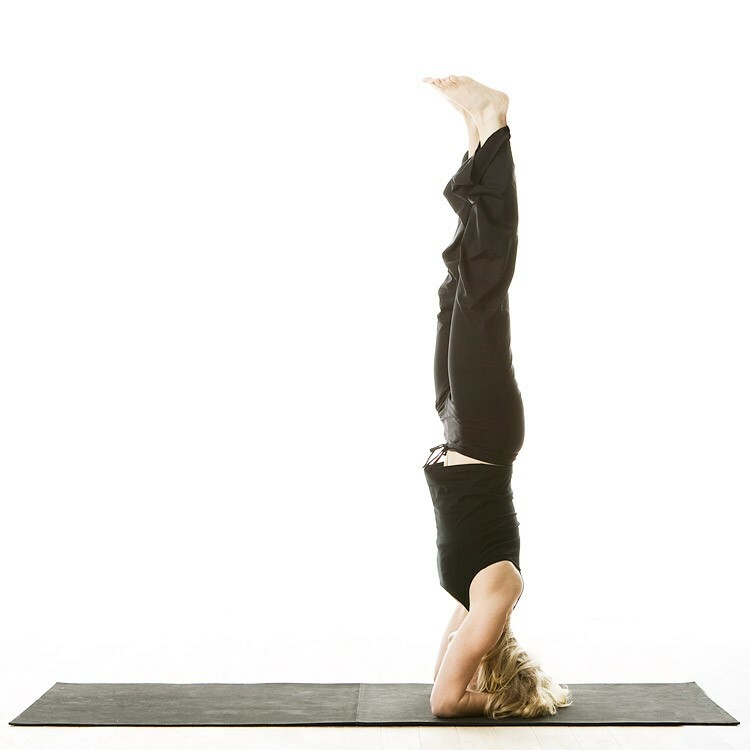 Start balancing the weight on head and single leg first lifting the other leg in air. Then aim for raising the second leg. This asana might be very risky to be performed carelessly. Focus with your entire mind on the postures. It is better to perform this asana in the presence of a helper. Gradually one can master this asana by continuous practice. It is very helpful in yoga for lower back pain. This asana can be practiced for instant back relief. To continue with this asana one might need a belt. Start with a straight lying down supine position. Slowly bring your right leg near your chest. Bind the belt around the foot .Raise your leg in the air and straighten your knees using the belt. Hold in this position for a while and then relax. Follow the same steps for the left foot. This asana allows an equal turn by turn relaxation of your back. This is ideal for relieving lower back pain. This asana is a sitting posture asana. It involves sitting with your hips firmly put on the floor and legs aligned together in a straight line actively. Place your arms next to your side ribs. Push your palms on the floor next to the hips. Ensure that your spine is perfectly straight. Stay in this position for about 30-40 seconds. Relax and repeat. 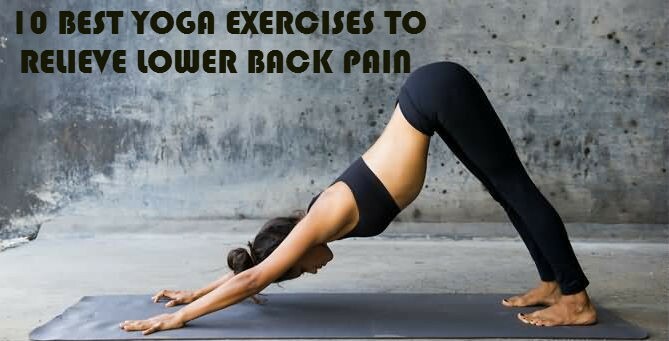 These were some yoga exercises for lower back pain. All these postures are very good for strengthening your back. They help to deal with the regular sedentary lifestyle. One thing to be noted in performing all these asana is that your spine should be active and straight. Leave your comments for any information about these yoga asanas.